Today’s garages are more cluttered than ever before. We have reached an age where we have become a hoarder’s nation. We are to the point where I personally know several people unable to park their cars inside their garage because the vehicles no longer fit. Despite this increasing issue, not much is changing when it comes to garage storage and organization. 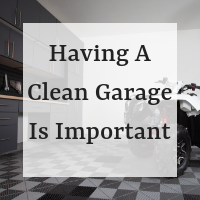 In this post, I will go over some actionable items you can take if you feel your garage has gotten out of control. A great starting point would be to move all items towards the walls. We can do this a number of ways. My first suggestion would be to look into some garage cabinets, or garage shelving. They enable you to move items inside a closed cabinet, or above the ground to keep your items away from insects or rodents while freeing up valuable floor space. Simply having a cabinet or shelving system, won’t cut it though. It’s best to have systems that are high quality, and able to hold lots of weight. Another important aspect to consider is how well will the systems age? If a product in question doesn’t look like it will stand the test of time, it would be worth your money to do more research..
Look for products that are built for the long-term, not a quick do-it-yourself solution. There are plenty of cheap systems available on the market that will help to quickly clean your garage. My suggestion would be to focus on how you can turn your cluttered garage into a structured and organized system, and keep it that way. You are better able to park your car inside your garage. It eliminates the chance that rodents and insects will find homes within your trash or stored items because they are placed in enclosed areas. Your garage is more aesthetically pleasing, and enjoyable to be inside. With these suggestions in mind, go and take a look at your garage and see in what way you could improve. Are there items that could be stacked, packed away or removed from the garage entirely? How can you make everything more accessible, yet neater at the same time? By so doing, you not only help reduce clutter, but you limit rodents ability to live in messy spaces. Plus, your garage will look fantastic!